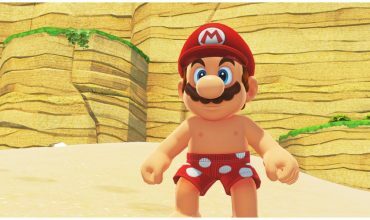 Reviewed on Nintendo Switch, copy supplied by Nintendo. If you pause and think about it for a while, ARMS is an objectively terrible name for anything apart from literal arms. That being said, ARMS is a pretty great game, and another feather in the cap for Nintendo’s Switch. The colourful fighter has a similar vibe to Overwatch, with a vague premise and a range of great characters that capture the imagination, but leave the story up to you to explore in favour of focusing on gameplay. On face value it may look similar to Wii Sports boxing, but dig deeper and there’s plenty to be found. Yes, you too can punch a child in the face. Character backstories are tied closely to their designs, such as the kid who built a mech suit from junk, the skateboarding speed demon, the ramen obsessed brawler and the cursed mummy. All the designs are great and unique, with room to pick out favourites base on aesthetics as well as playability. A real strength of ARMS is its adaptability, with different Switch modes changing how the game is played. With the Joy-Cons it’s much more akin to a Wii title, but when you play with a controller set up, it holds its own as a fighter. With Joy-Cons you swing punches physically, twisting your arm to curve them. It’s probably the better mode for casual multiplayer with friends. In the controller set up I found the game became more refined, allowing you to attack and defend more competently providing a competitive edge for online play. Depending on character selection the combat varies quite drastically. There’s a range of styles, with slow heavy hitters and fast striking agile fighters. Personally I find the characters themselves all to be fairly balanced with their own quirks, it’s the choice of arms that sets them apart. If you want to smack talk him mention Tom Cruise. Arms are essentially your weapons in game, and depending on what you equip will shake up a fight drastically. With elemental abilities including fire, ice, wind, electricity, explosion, blind, and plain old normal, there’s a fair range to choose from. You’re able to equip different arms to create an effective combo, something which takes a bit of trial and error to discover the best option. Certain character styles will favour certain arms, such as using electricity as an agile fighter to disable your enemy and get in some hits yourself. Your special attack will vary greatly depending on equipped arms too, and considering how a successfully landed special can turn a game around, it’s important to select a versatile set. With grand prix, ranked and casual online, and offline multiplayer at its disposal, there’s a fair amount to keep you entertained with ARMS. However despite being fun, the gameplay doesn’t seem to have enough to entice players to stick around just yet, although the modes available are good fun. That’s one way to use a crippling disability to your advantage. There are a range of different game modes, with the typical 1v1 fight, volleyball where the ball is an explosive that detonates if it hits the ground, skillshot where to win you have to hit more targets, and a 2v2 mode where you’re tethered to your teammate. These modes take place on a range of maps, which all have features that change the way you approach a fight. For instance, using high ground to your advantage or covering behind a pillar can make or break a match. To boot, the game will randomly spawn health and special boosters, making it important to control certain areas. The best addition is a map which has hover boards you can use for a massive speed boost. When playing grand prix or against opponents online, the game cycles through game modes and maps, varying up the pace and skills needed. Each mode is pretty great in its own right, and I found myself enjoying the break up from conventional 1v1 combat. Helicopter hands may be cool, but enjoy never opening doors. Despite the enjoyment I got from it, I still found myself wondering how long players will stick with ARMS. What’s there is fun, but there isn’t really enough of it to stick with long term, not yet anyway. To add some level of longevity, ARMS has a credit/unlock system. It’s kind of a play on lootbox systems, where playing the game will earn you credits which let you unlock time in a target range as a character of your choosing. In this range are boxes that go past, which you need to successfully hit to unlock the new arms inside. If you hit an arm you already have, you’ll upgrade it. It’s a fun way to earn weaponry, and I can see some people becoming hooked on it. Can they go down stairs like a slinky? What exactly are the benefits of bendy arms? At this stage there’s not too much else I can say about ARMS other than it’s a great little title that packs a bendy punch, but one that will need watching to see if it’s a knockout or not. ARMS is a fun and colourful fighter that makes great use of the versatility of the Switch. It may struggle to hold players in the long term, but as multiplayer games go, its got a lot going for it. Take a swing at Charlie on Twitter @clbraith and don’t forget to follow @load_screen and like us on Facebook. Bye-Bye BoxBoy! 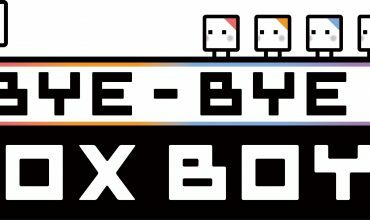 review: He’s a box, my boy’s a box! Oh damn, thanks for the pick up. Still E3 sleep deprived ahaha!